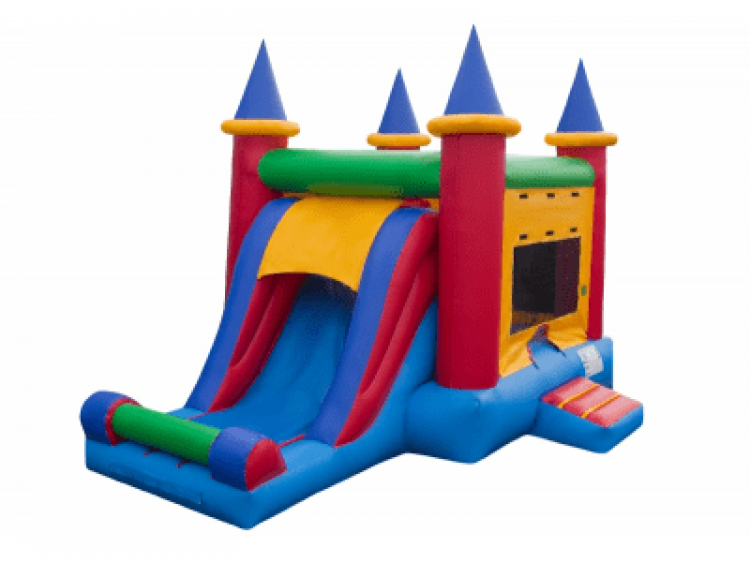 Get your Single Slide Combo here from Bruno’s Bounce House! 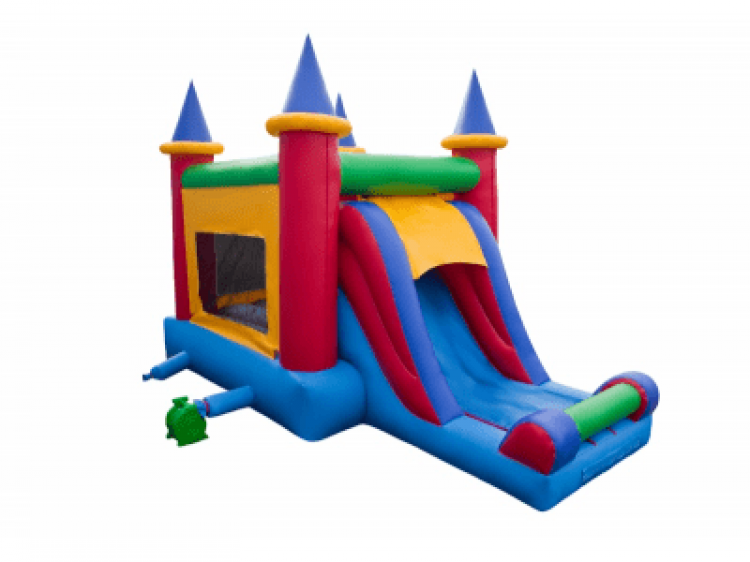 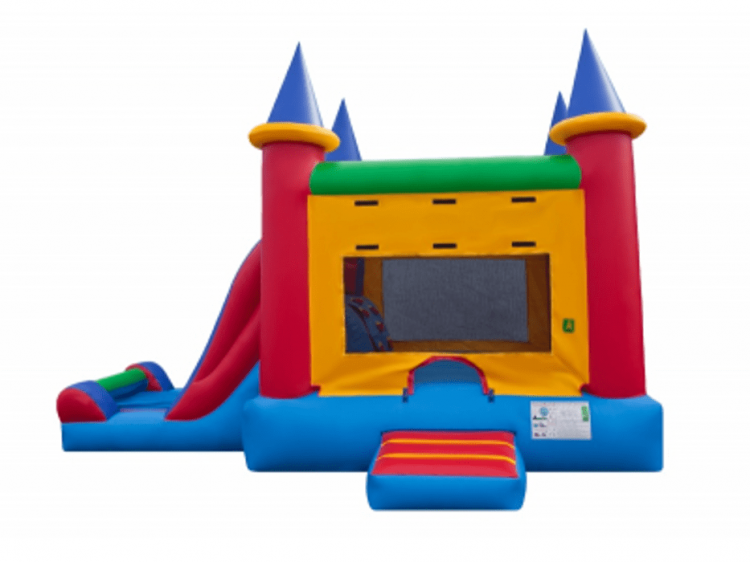 This brightly colored castle combo is loaded with tons of fun as well as an inflatable slide. 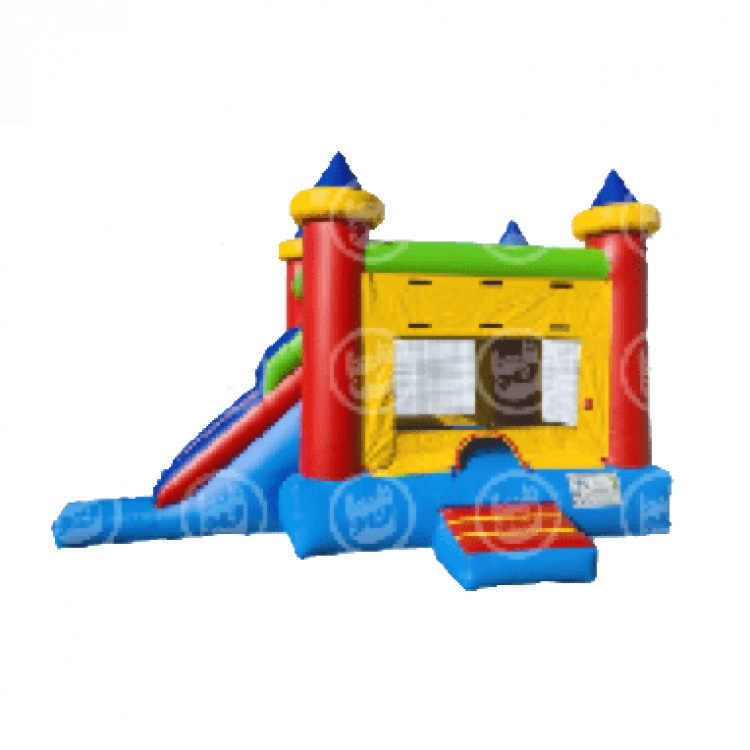 Commercial grade Castle with Slide & Basketball Hoop Inside.